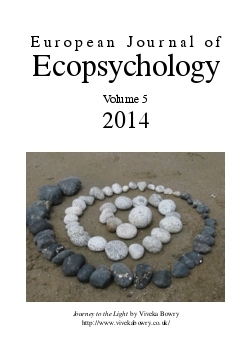 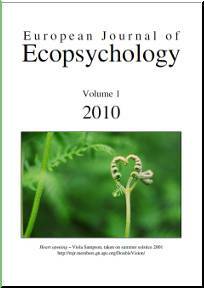 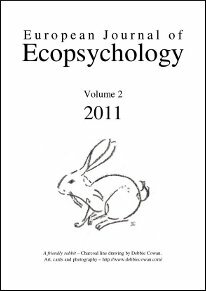 The European Journal of Ecopsychology (EJE) is a peer-reviewed journal that aims to explore the synthesis of psychological and ecological ideas from a variety of perspectives. 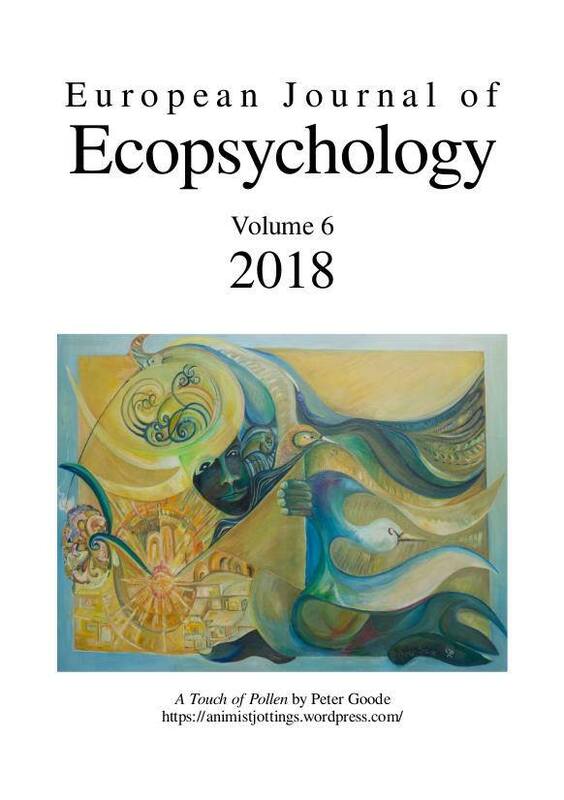 We publish theoretical papers, empirical reports, accounts of therapeutic practice, and more personal reflections which offer the reader insight into new and original aspects of the interrelationship between humanity and the rest of the natural world. 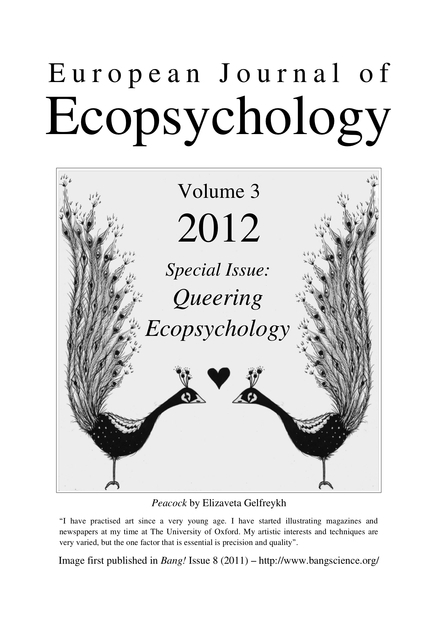 Issues are publshed at the end of each year. 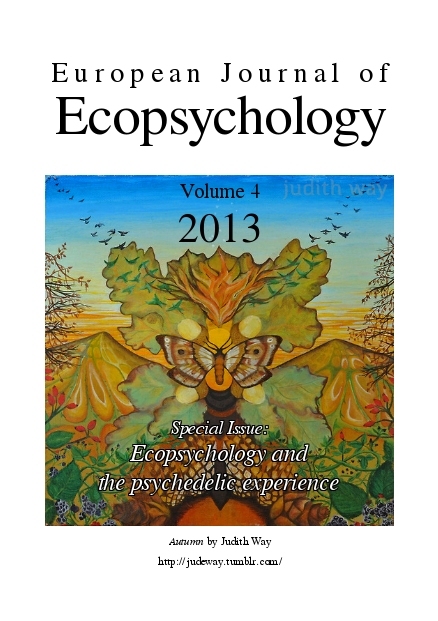 Click on the image to download the entire issue, or on the individual link for each article.